March’s Business lunch was held at the Reine Astrid. 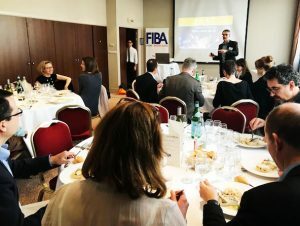 Our speaker was Philip Last, FIBA president, who shared his thoughts on major consumer trends and opened up the presentation to an interactive discussion. This led to some rich discussions on the environment, artificial intelligence and digital change!